Point Reyes National Seashore Shipwreck. Our first three months as Full-Time RV’ers has flown by so fast I can’t believe the amount of experiences we've had in such a small amount of time. While Reno wasn’t initially on our hit list, especially for our first city of choice, it acted as an excellent hub with access to great RV destinations. Locations such as: Virginia City, Lake Tahoe, Pyramid Lake, and McArthur Burney Falls were all just a short drive away and all impressive in their own right. Reno itself wasn’t so bad, a city built in the desert with minimal plant life, and lots of gambling. We found a few good restaurants, however we thought it fell short on great places to eat unless you’re into casino buffets. We also had the pleasure of making a few great friends during our stay which made exploring Reno and its surroundings that much more enjoyable. So where to now? Lisa and I had a good week to kill before we indulged into our much anticipated two week Yosemite and Sequoia National Park excursion. We had to be near San Fransisco International Airport in order to pick up some of our best friends that would be joining us during that trip. 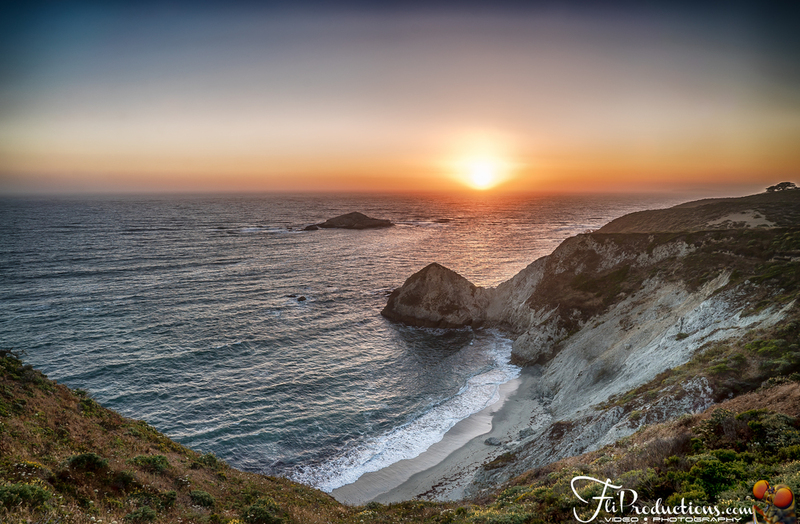 We decided to explore Point Reyes National Seashore, a low populated area located on the California coastline about an hour and a half drive north from San Fransisco. If you’re looking for populated city life Point Reyes has nothing for you. However, if you’re looking for peaceful, non overrun beautiful landscapes this is your place! We stayed at Olema Campground, a clean, fairly priced, wooded campground that surprisingly had some of the best free wifi we’ve ran across. Sun setting onto Tomales Point Trail. First we decided to check out the Point Reyes Light House, along the way was an old abandoned shipwreck that had washed up onto shore. I loved it, and thinking of what I could do with it astrophotography wise made my mouth water. 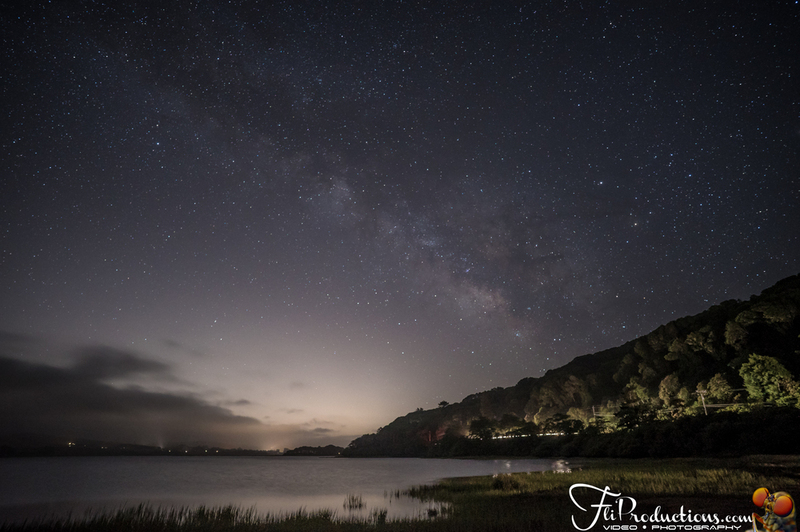 However, my two late night attempts of the shipwreck were consumed by overcast skies and no visible stars…bummer, I did happen to snag a few night shots near by though. Our second stop along the way was a cool “tree tunnel” and from my understanding this was the driveway to what housed the lighthouse operators (it too was abandoned). Finally we got to the lighthouse which boasts a 300 step flight of stairs. Unfortunately this flight of stairs happens to be closed Tues. Wed. and Thurs. so we just enjoyed it from the view point which is never closed. Next we decided to eat lunch or should I say oysters at Hogs Island Oyster Co. located on the east side of Tomales Bay, not to be confused with the Hogs Island Oyster Co. located in San Fran. While these two restaurants maybe the same company they sport polar opposite atmospheres and experiences. 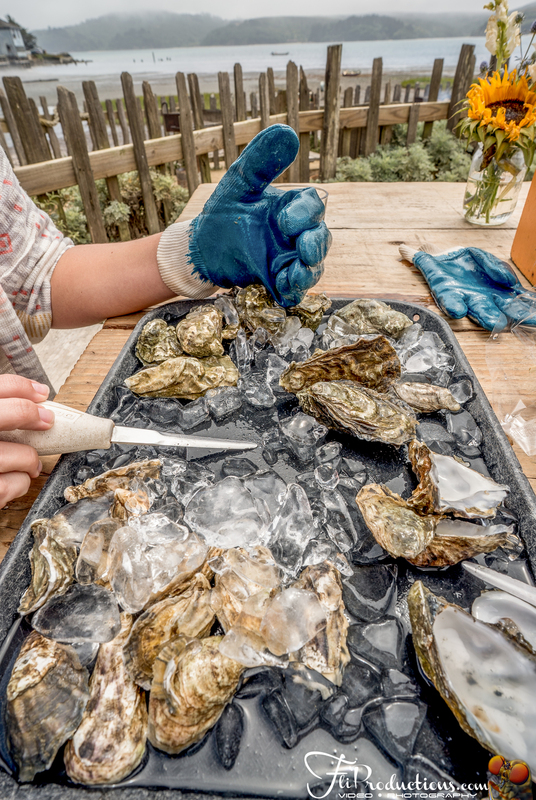 The Tomales Bay location is the actual production facility, you can buy them by the dozen or by the bag (70 oysters) sit on the bay shucking your own oysters while watching the workers clean, bag, and ship their product away. It was a privilege to enjoy the freshest oysters in this setting, an eating experience I will never forget. With a Google rating of 4.7 out of 76 reviews, it kind of speaks for itself. After getting our shuck on, we decided to do a sunset hike to the end of Tomales Point Trail. As of me writing this, I have hiked through Yosemite, Sequoia, Redwoods, and many other beautiful locations but the Tomales Point Trail has got to be one of my favorites thus far. A highly elevated peninsula with the most gorgeous endless view points was so stunning to me. During all of our hikes our only minor complaint is that we never really see any wildlife, well we got our wildlife fix on this trail. Elk, many Elk, Big Elk, small Elk, Elk were everywhere, we estimated that we saw a good 100+. Sometimes the trail would turn into almost a trench and you couldn’t see so far ahead, all of a sudden we would be within very close range of enormous bucks (check out this video)! While we may have gotten closer than a safe distance away, none of the Elk showed us any aggression, just a quick stare down then back to eating vegetation. Amazing trail! Lastly, Katie, a friend we made in Reno decided to join us for our last Hike to Alamere Falls. Alamere Falls is one of two rare “tidefalls” located on the California coastline and is a waterfall that flows directly onto the beach and into the ocean. McWay Falls is the other tidefall however, it is very touristy and not accessible from the bottom. 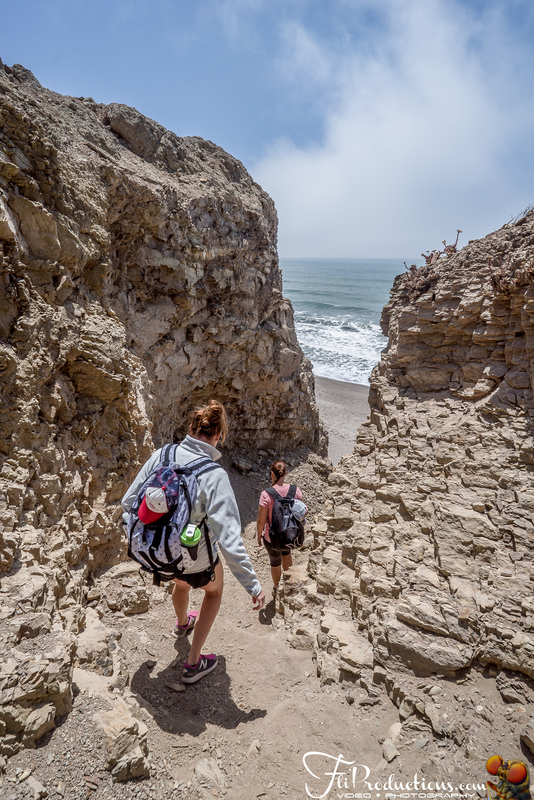 It’s about an 8.5 mile out and back intermediate hike to get to Alamere Falls when starting from the Palomarin Trailhead. What better reward could you ask for when getting to the end of a trail than walking upon a waterfall that’s flowing into the ocean? Seeing a unicorn here wouldn't have surprised me, it was amazing. 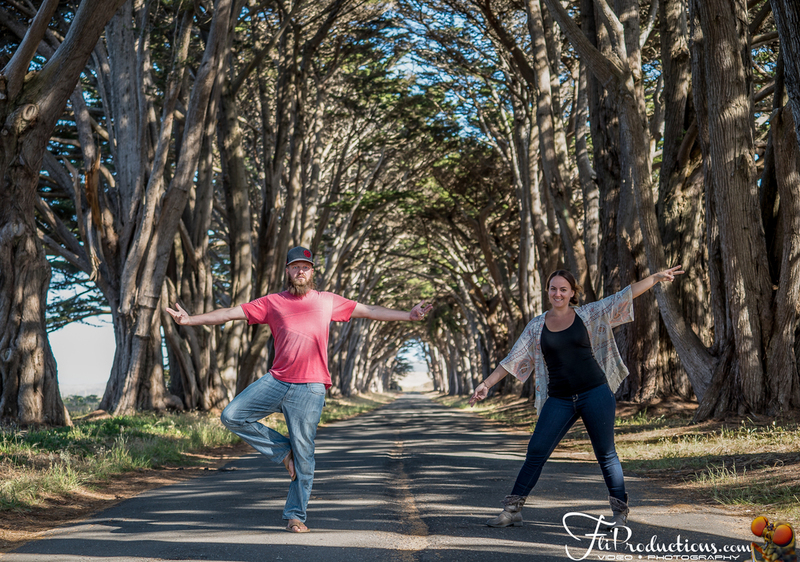 With not entirely to much planning I think we explored this area pretty well, in fact we couldn’t wipe the smiles off our faces during our entire week stay in Point Reyes. Now we are on our way to pick up some friends from San Fran Airport to start our Journey though Yosemite and Sequoia National Park. Images from this trip will soon be available for purchase through my online store, they are high quality prints and fully customizable, from canvas to metal prints any size, as well as framing options be sure to check it out. Until next time, peace.